Coming Eid has created a competitive scenario. Where everyone is busy in buying and shopping stuff for Eid, brands are also indulge in launching their collections for Eid. 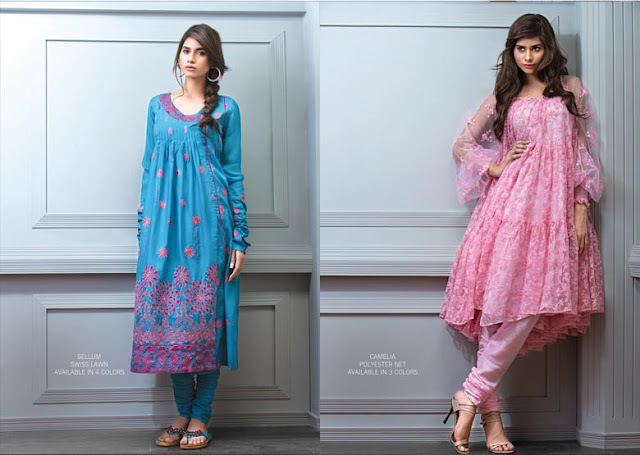 In the chain of Eid collection we have a cool collection of women dresses. There is no need to explain much about Bareeze. Bareeze is dedicated to offer its prospects with “designer” embroidered fabrics. The trend of ready to wear garments has gripped everyone and everyone is now manufacturing ready to wear garments. Bareez has recently launched their classic lawn collection for this Eid. The collection has sweet and cool colours as this Eid requires. 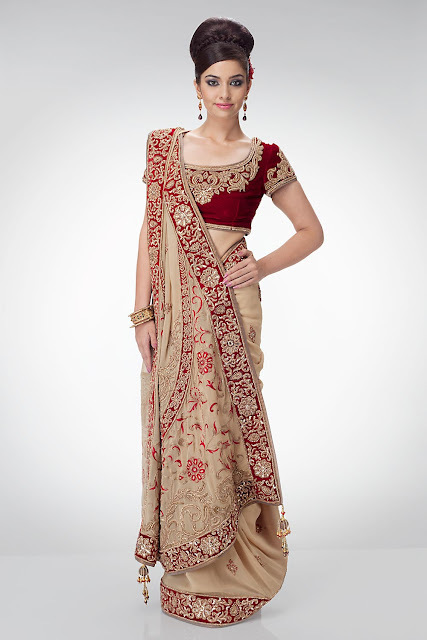 The entire collection has beautiful and fabulous trendy dresses in ranging all patterns and colour schemes. This collection has latest fashion trend of Salwar Kameez, A-line shirts, long shirtsand Bridal Frocks with Churidar Pajama fashion is highlighted. The entire range includes Crisp Cottons, luxurious silks, Sheer organza, Chic chiffons and more. Handmade and digital embroidery nourishedthe entire collection in a new and stylish design. Let's have a closer look to the entire Bareez classic Eid collection of 2012. Bareeze Eid Printing : Balism Europe Garden available in 4 shades, MriGold Chiffon, Verbina Europe Garden, Gladious lawn, Sellum & Camelia Polyster net, Mallow Chiffon, Freesia & Buttercup Europe Garden, Dark Ribbons Chiffon, Lilly & Olive Europe lawn, Primrose Chiffon, laurel Chiffon, Aster Chiffon, Magnolia Europe lawn, Rose Europe Garden, Orchid polyester net, fuchsia Chiffon. The modernly designed frocks are looking elegant with chooridar pajamas in variety of pattern and colors. 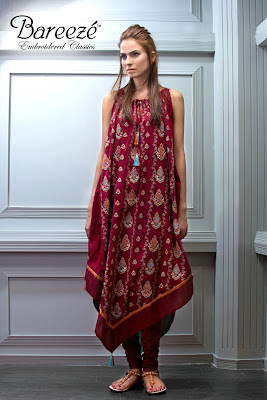 Modernly planned sleeveless attires are looking fabulous and this will shine your Eid day celebrations and cheers.